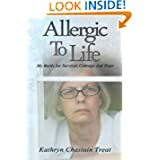 This entry was posted in Allergic to Life: My Battle for Survival and tagged allergic to life, Authors and Bloggers, Holiday Cash Giveaway, I Am A Reader, Inspired Kathy, Rafflecopter. Bookmark the permalink. Who couldn’t use some extra Holiday Cash. Enter the $300 Holiday Cash Giveaway today.